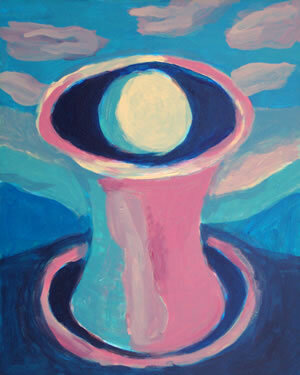 Above: "The Vessel II" (UDHR), 10" x 8", acrylic on board, 2008. A new small painting of the central, recurring motif in the UDHR series of artworks. 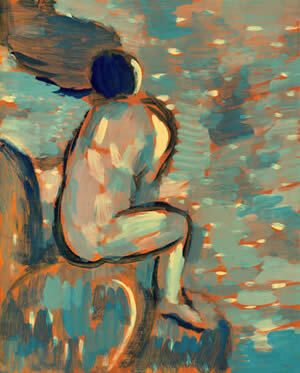 For more images, see www.udhrart.org. 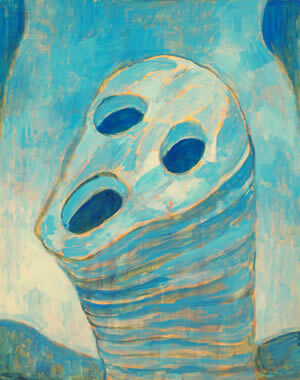 Below: "The Vessel", also acrylic on board, 10" x 8", 2008. 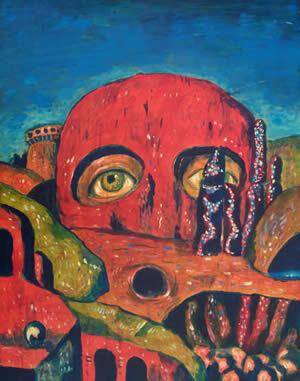 Below: "Face of Genocide", acrylic on board, 14" x 11", 2008. Below: "Hubris", acrylic on board, 14" x 11", 2008. 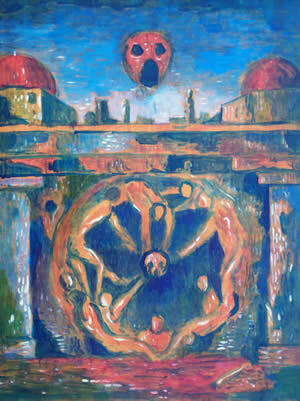 Below: "The Age of Reason", acrylic on board, 12" x 9", 2008. 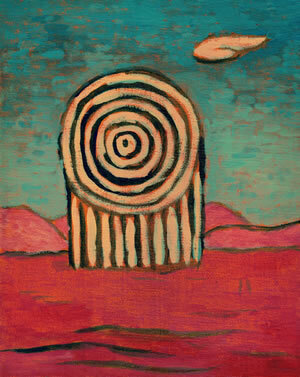 Below: "No Sense of Tomorrow", acrylic on board, 10" x 8 ", 2008. These are new artworks created by William T. Ayton in 2008. They include a number of new monochrome works, and several new pieces related to the Universal Declaration of Human Rights (UDHR) artworks done in the early 1990s. More images will be added soon. Please check back. Some of the pieces relate to the Eliot Katz/William T. Ayton book project, "Love, War, Fire, Wind: Looking Out from North America's Skull", available early 2009. New: See the Timeless Drawings. Also, a new page of drawings of Heads, done in 2008. Please click on the thumbnails below to see larger reproductions. 2008, 12" x 9" approx.